I haven't done much with Listia lately, but every once in a while I go take a look and see if anything I like is in my credit range. 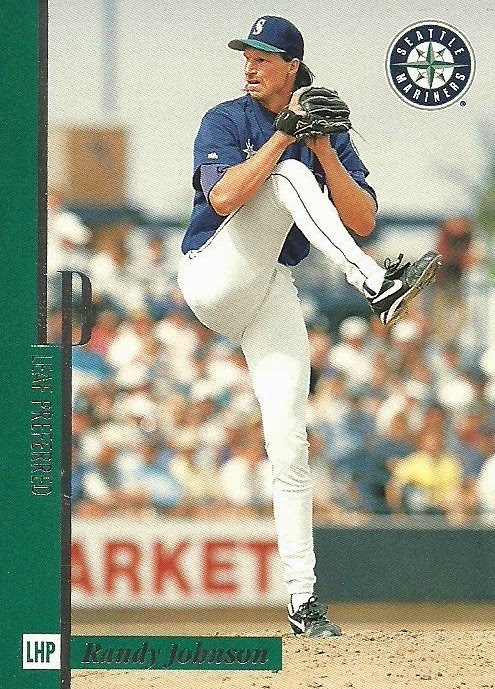 A week or so ago I was taking a look and saw a two card Randy Johnson lot. I put in a bid and ended up winning it. The cards arrived this past week. 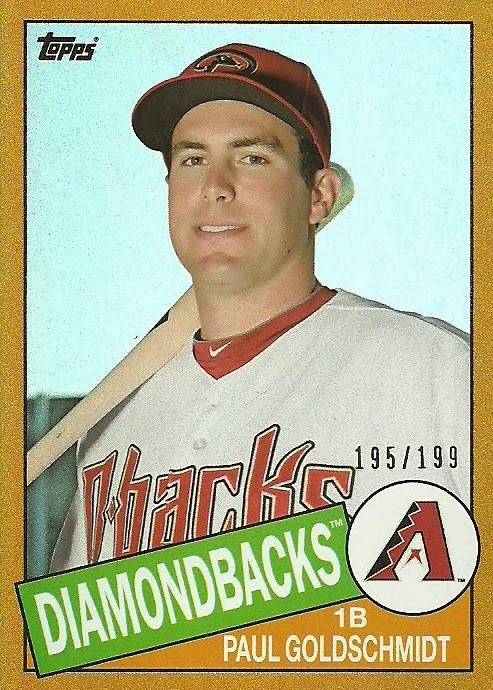 If you're familiar with my blog, you know I'm a Diamondbacks fan. 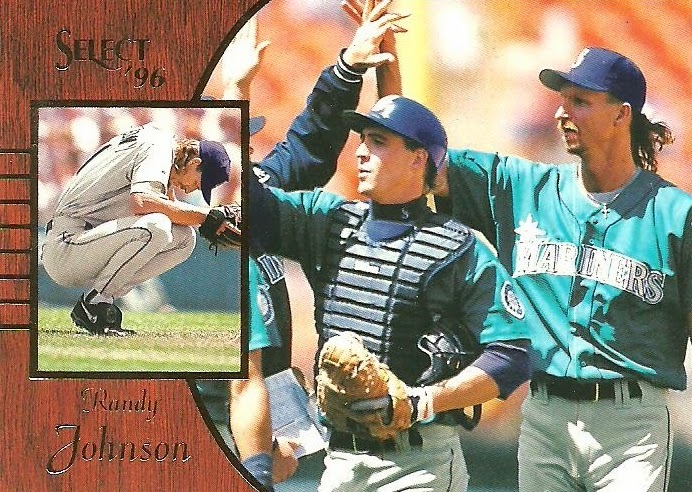 The Randy Johnson cards I picked up are of him as a Mariner. 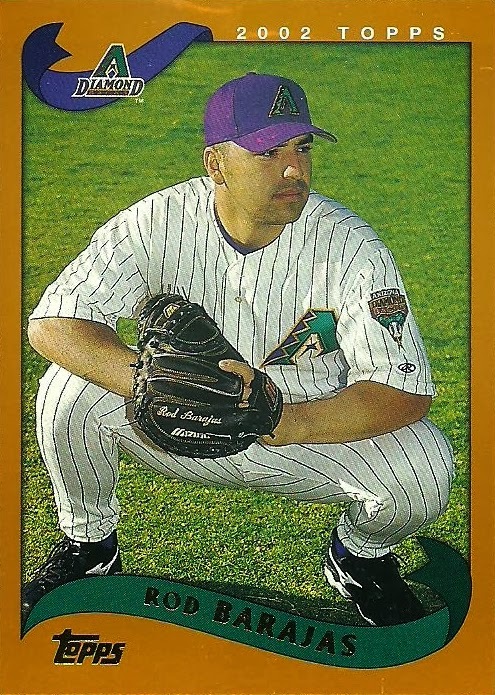 I had seen this 1996 Select card on blog recently, although now I don't remember which blog it was, and liked it. So when I saw it on Listia I had to put in a bid. I think it's the fact that they were able to fit all 6' 10" of Johnson into that tiny little box. One thing I've been trying to do this year is plug another blogger or You Tuber in each post. 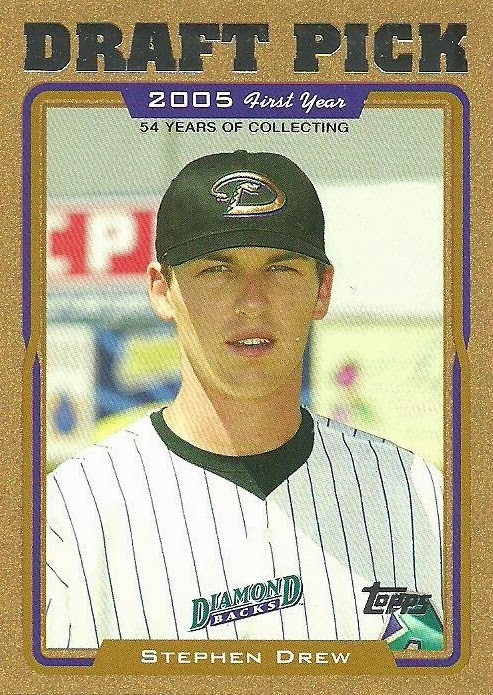 I haven't done much in the way of YouTube and since I couldn't remember the blog where I saw the Select Randy Johnson card, I thought I'd promote a You Tuber. Go check out fighton52 on YouTube. James is a Bo Jackson super collector. 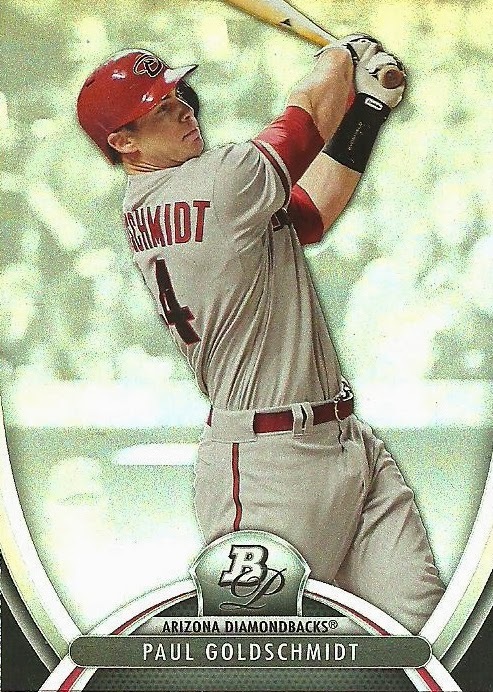 He also likes Griffey and Dale Murphy, two of my favorite players. He collects football and baseball and some basketball. He's also a huge Oregon Ducks fan. Anyways go check him out. 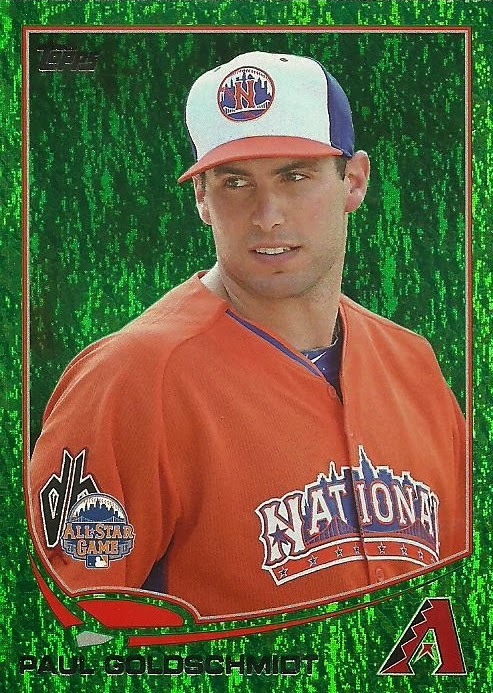 The BIGGEST card in my collection...literally. 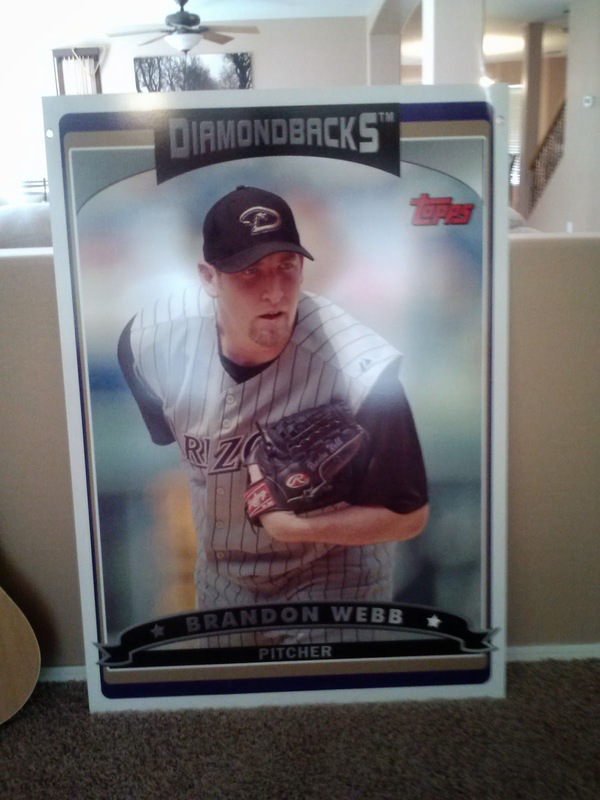 I picked up this 2006 Topps Brandon Webb card at the D-Backs Fan Fest last month. At almost 3 ft x 4 ft, it's literally the biggest card in my collection. It must have been hanging up somewhere in the stadium or in one of their offices; it has two holes, one on each side near the top. I'm not sure where it will end up as I don't have the wall space in my man cave and my wife said no to above our bed. 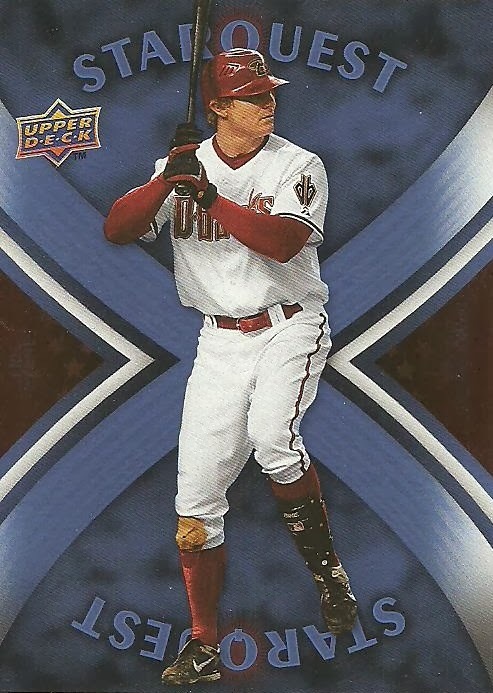 I'd like to thank Larry from My 2008 Topps Set Blog for the early entry pass that allowed me to be able to pick this up at the D-Backs Yard Sale! I got an email recently from a reader of my blog named Joe (at least he doesn't have a blog that I know of) asking if I wanted to make a trade. We exchanged a few emails and a trade was arranged. He's a Barry Larkin collector, just like Nachos Grande. 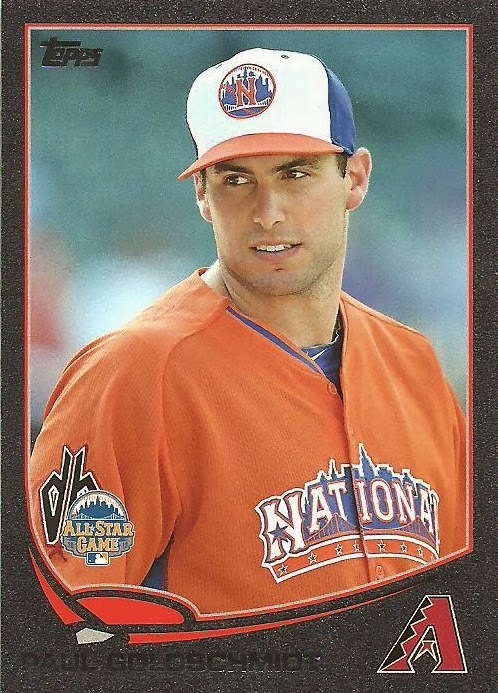 So if you have any Larkin cards you're looking to move send them to Joe or Nachos Grande. Here's what I got from Joe. 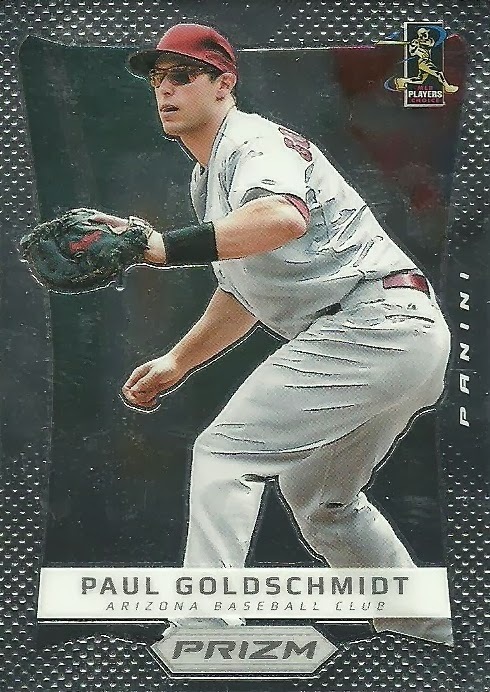 Two Goldschmidt cards I needed and a third where Goldschmidt is making a cameo, along with some other nice D-Backs cards! Thanks Joe! 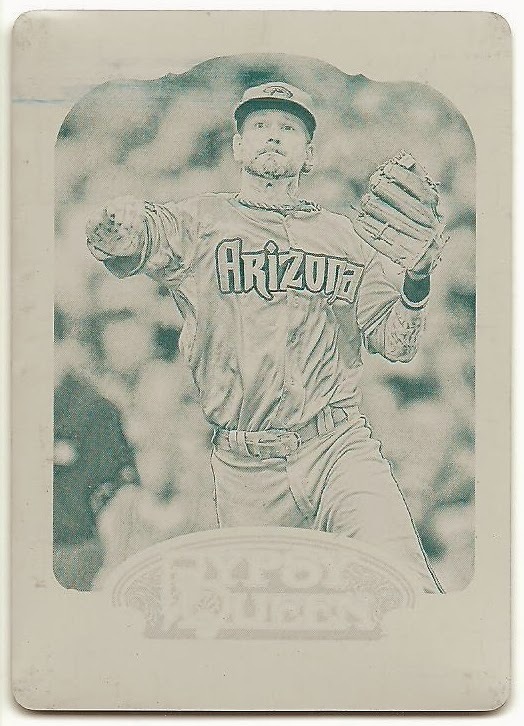 I picked up my 10th Ryan Roberts Printing Plate recently. 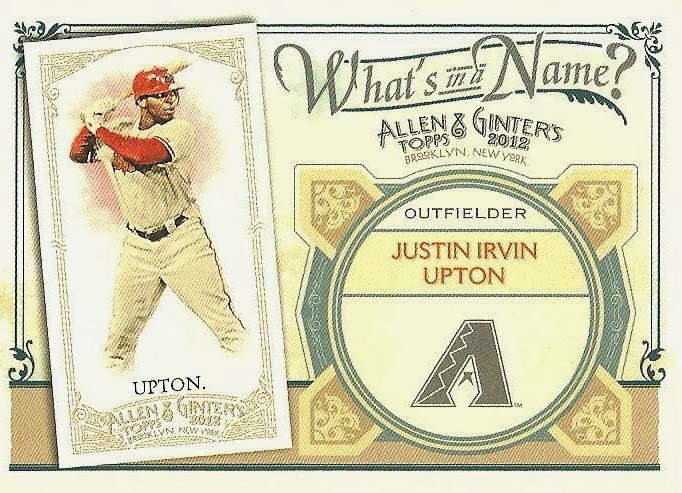 (11th if you count this one from Gavin of the blog Baseball Card Breakdown). 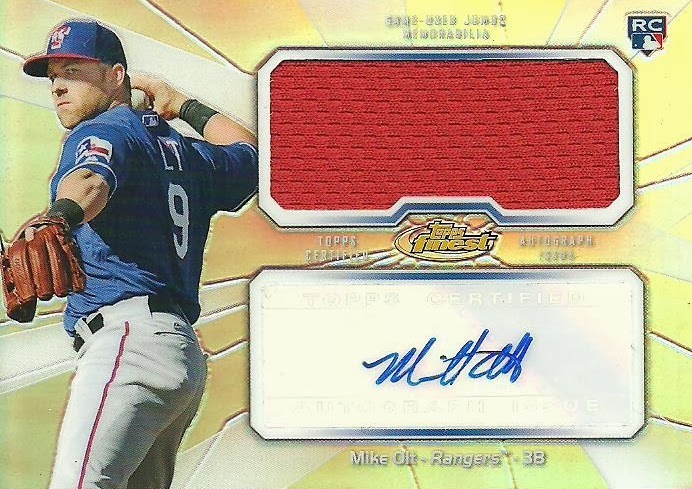 It's from 2012 Gypsy Queen and is the cyan version. I purchased the card and a few days later the seller reached out to me saying that he had been sick and hadn't been able to ship the card yet. He offered to refund the shipping cost and said he would throw in some extras. I appreciated the fact that he let me know what was going on so I told him there was no need to refund the shipping cost and just asked him to let me know when he shipped it. Several days later I got another message from him saying that he had just gotten out of the hospital and that he would ship the card the next day. A few days later it arrived. 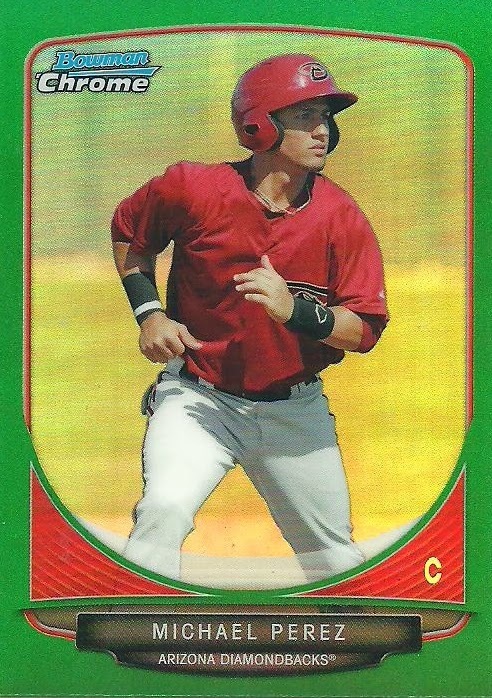 The seller, kbcards2014, threw in an extra card since the shipping was delayed by his illness. It's a pretty nice "extra" if you ask me. 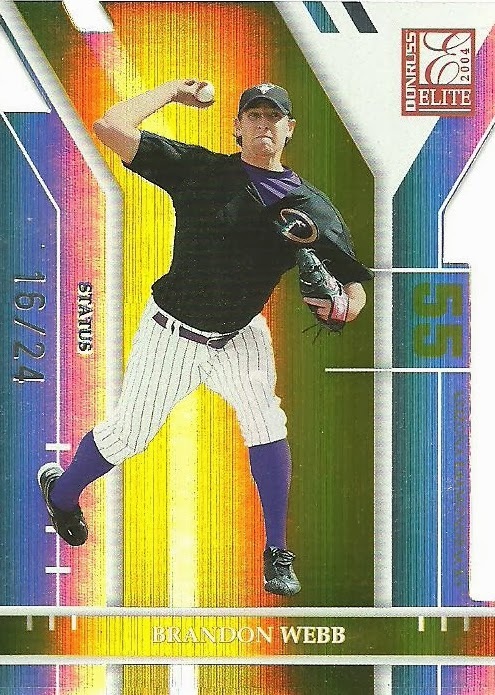 I'm hoping this card will help me complete a trade with Judson, of the blog, My Cardboard Habit. 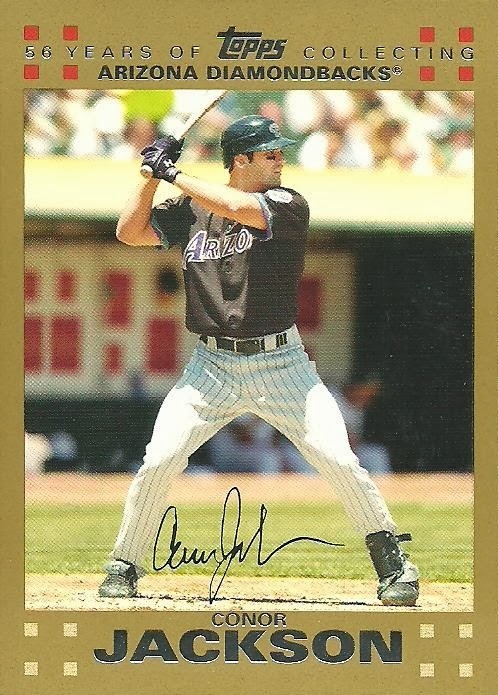 He sent me some D-Backs cards last year and I didn't have many Rangers to send back. 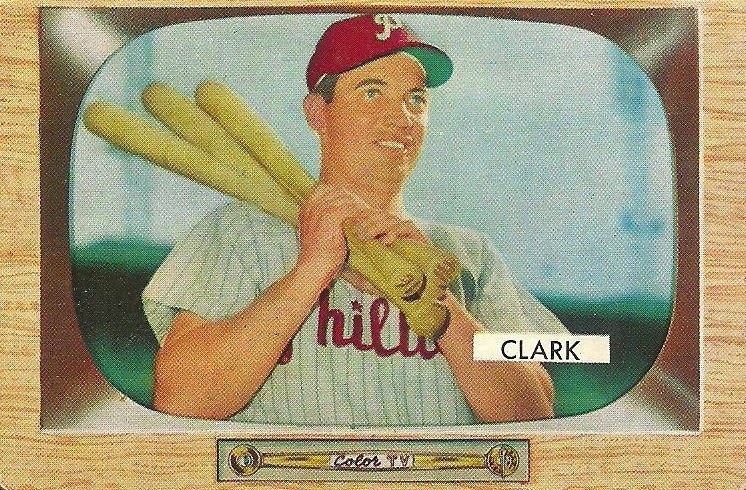 I was browsing at my LCS recently and stumbled on a few 1955 Bowman cards for my Multiple Bats Collection. 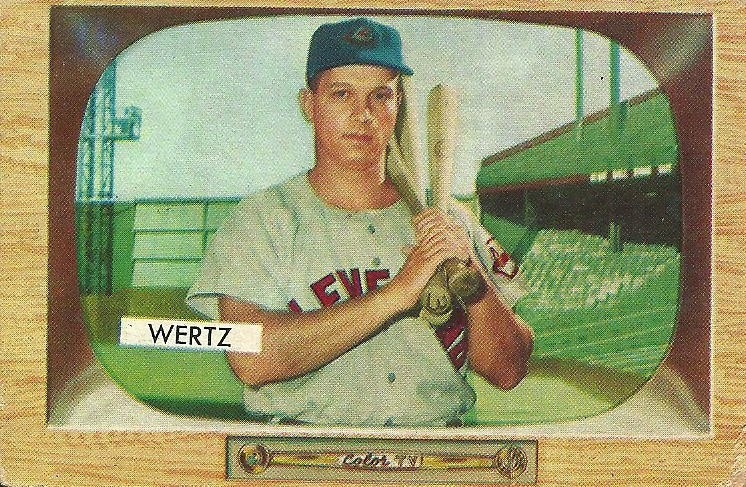 The cards aren't in great shape, but they are almost 60 years old. 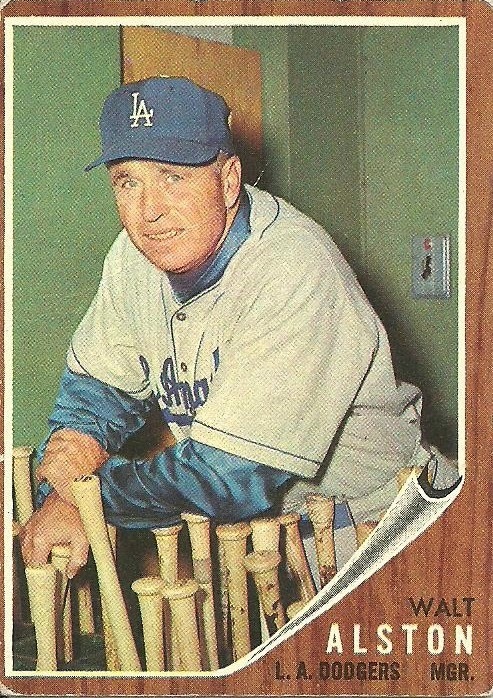 I also picked up this 1962 Topps Walt Alston card. The bats caught my eye, but it doesn't qualify as part of my Multiple Bats Collection because he's not holding them. 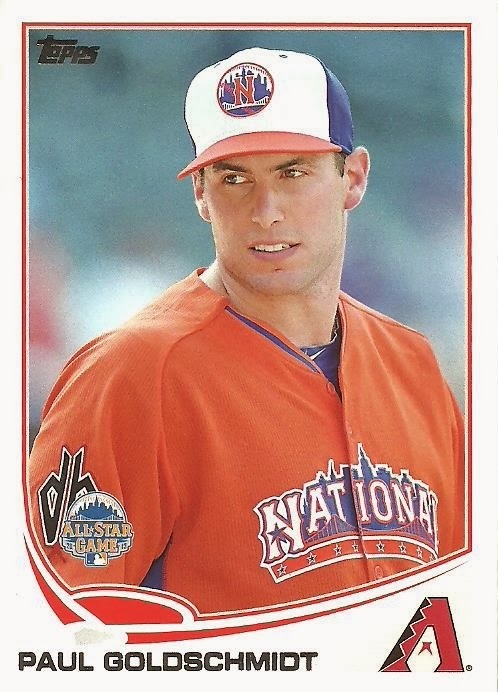 For $2 it was hard to turn down a vintage card of a Hall of Famer. 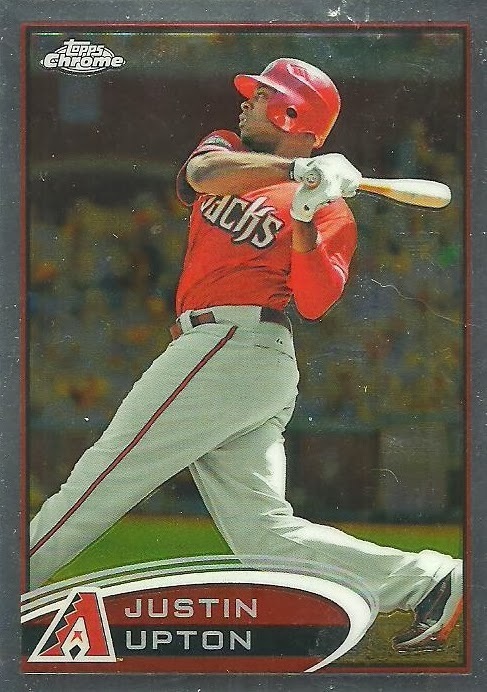 Matt, of the blog Bob Walk the Plank, emailed me about a trade recently. 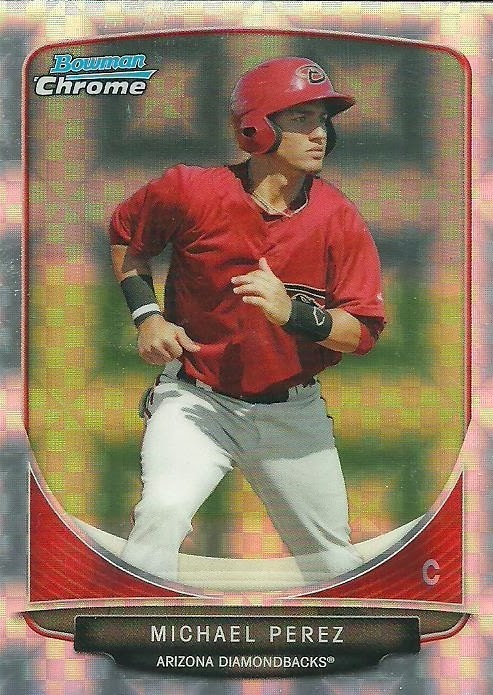 He said he had some D-Backs cards and specifically a few numbered Paul Goldschmidt cards that I might like. I told him I was interested and he sent me a pretty amazing package! 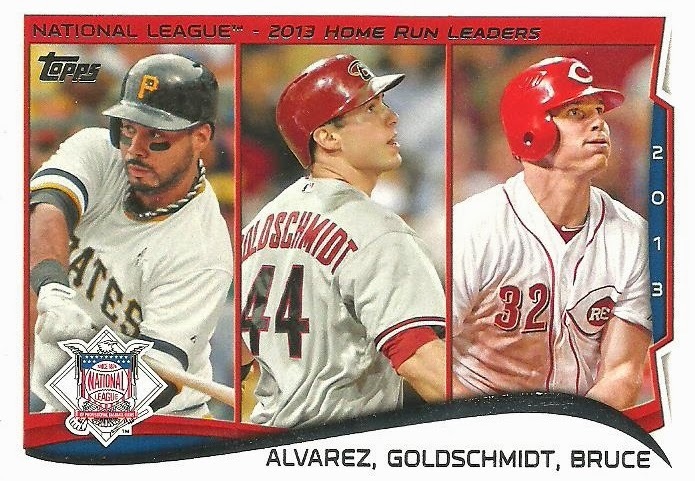 Matt collects the Pirates and so I've got to find some nice Pirates cards to send his way! If you aren't following Bob Walk the Plank, go ahead and do it right now before looking at the awesome cards that Matt sent me. Alright, now that you're following Bob Walk the Plank, take a look at some of the amazing cards that Matt sent. 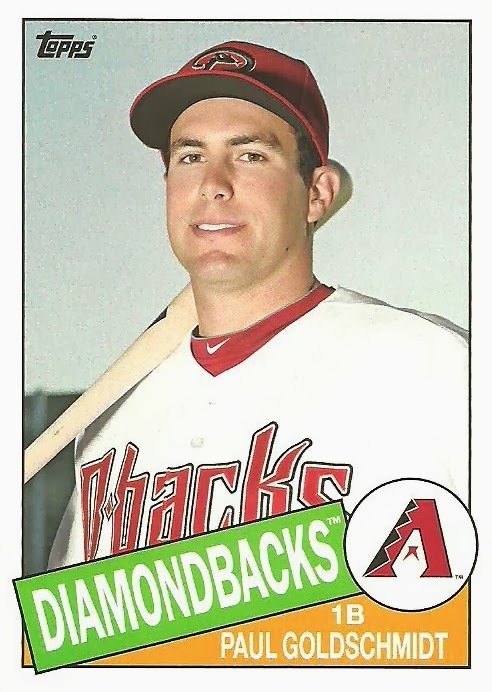 Here is not one, not two, but three versions of Goldschmidt's 2013 Topps Update All-Star card, including the base, emerald, and black version which is numbered to 62! 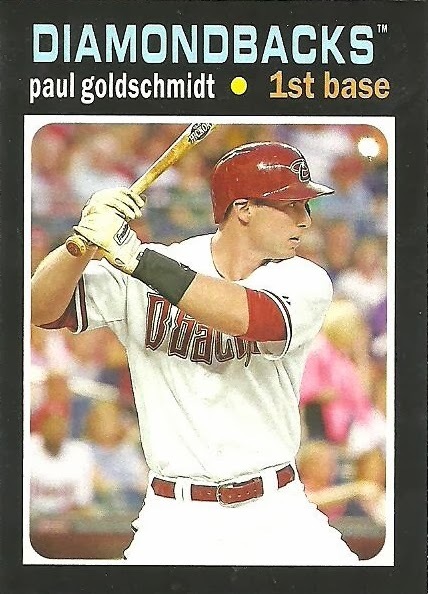 Matt also sent the base version of the 2013 Archives Paul Goldschmidt as well as the gold parallel which is numbered to 199! 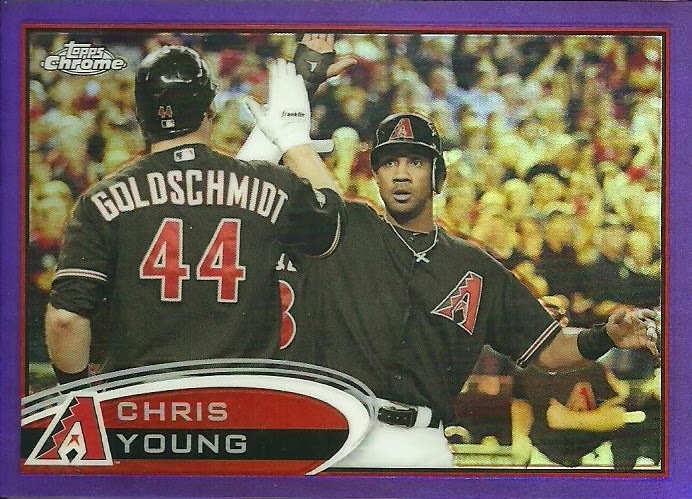 Matt also included this 1971 mini insert of Goldschmidt as well! 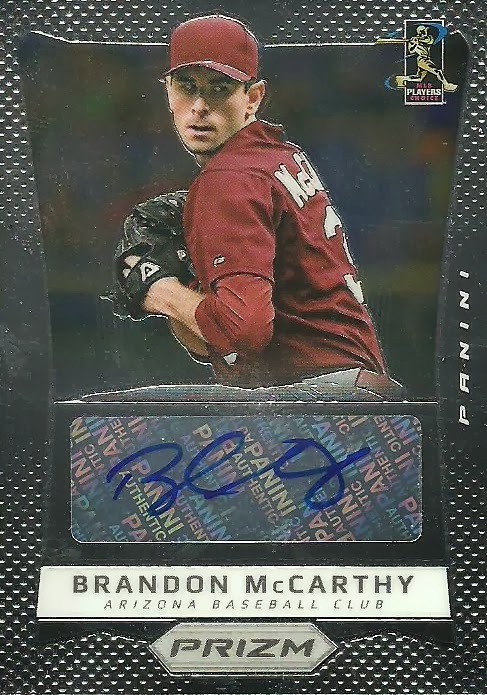 and this AMAZING Brandon Webb gold parallel numbered 16/24! Thank you so much Matt for the awesome cards! 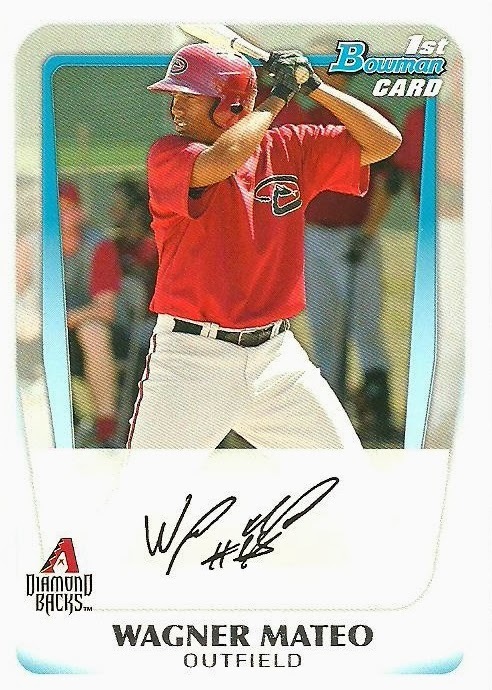 The title of this could have been "Another PWE from Hot Corner Cards" since Pat has sent me multiple PWE's over the past year or so. Here are the contents of his latest generosity! Thanks Pat! Now go send any extra Tigers you have to Pat!